Next week we'll have another video with Nick Mastrangelo online. Don't you want to meet your attorney before you hire them? As we approach 40 years of helping people in the East Bay area, we just want to say "Thank You" to everyone who trusted us to defend their rights. Have you ever wondered how much it costs to hire an attorney when you are hurt in an accident? In our latest Video Nick talks about the money you don't need to hire a great attorney. Being hurt in an accident can be a scary thing. The bills pile up, work days are lost, and recovery can get expensive. If you have been hurt in an accident, make sure you protect your rights. 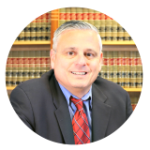 Check out the latest Mastrangelo Minute with attorney Nick Mastrangelo and see if you might need to call an attorney today. If you have ever wondered who those lawyers are on those cheesy TV commercials, now you can get to know a real personal injury attorney who went to school right here in NorCal. 🇺🇸🇺🇸Happy Independence Day🇺🇸🇺🇸. Be safe with Fireworks!